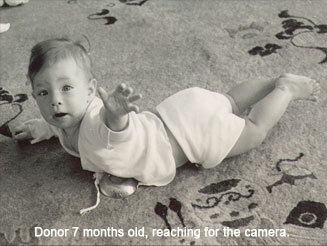 Photos of sperm donor as a child. Click on the photo to see a full-page version of the photo. 3 years old. Deep contemplation. 17 years old. Showing science fair project. 9 weeks old. Examining his hand. 16 years old. Showing science fair project.